Key West is just a short drive from Miami, Florida on the US-1 highway. The Florida Keys hold a lot of treasures for the summer vacationer. The islands offer a tropical blend of azure waters, tropical foliage, fine dining with fresh seafood available daily, and lodging for any budget, some with a history of famous and notable figures. Key West has a lot to offer travelers from all over the world. Some visitors prefer a little bed and breakfast or guest house hidden away in Old Town. While others may want to be pampered by one of the waterfront resorts and luxury hotels that are found throughout the island. The Florida Keys offer visitors an endless supply of things to do. World class fishing can be found both on the shallow water flats and in the deep blue sea beyond the barrier coral reef. The shallow flats offer tarpon, bonefish, permit and barracuda, not to mention several other species to shake a hook at. Diving and snorkeling in the coral reefs and wrecks around Key West is fantastic. If you are interested in wreck diving, there are a couple located around Key West that are available to visitors. Tropical fish are in great supply on the reefs and there is snorkeling available on a sailing catamaran or schooner for a day of excitement and beauty. 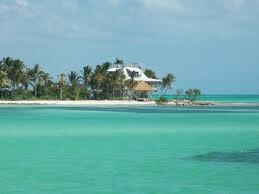 Key West is a tropical paradise that is perfect for relaxation or excitement and fun. Spend some time with a friendly Dolphin. Throughout history people have always been fascinated by the intellect and playful attitude of the Dolphin. There are a few great tours on the island where you can watch these wonderful creatures breaking the water, or even watch them as they swim underwater. If you’re a golfer, you won’t be disappointed. Visit the one and only U.S. golf course in the Caribbean. Key West has a fantastic, professionally designed eighteen-hole golf course set in all of the beauty of the island. No matter what you choose to do from the long list of activities that await you at Key West you won’t ever spend a day being bored. Unless you choose to. Ya truly it looks great place for vacationing & specially for golf lovers.Continue posting about this topic because it's very interesting.